Tia talks about her win. “I want to start by congratulating each athlete and to their support teams who took part in the 2018 games. Every year the competition gets tougher and the events more grueling. 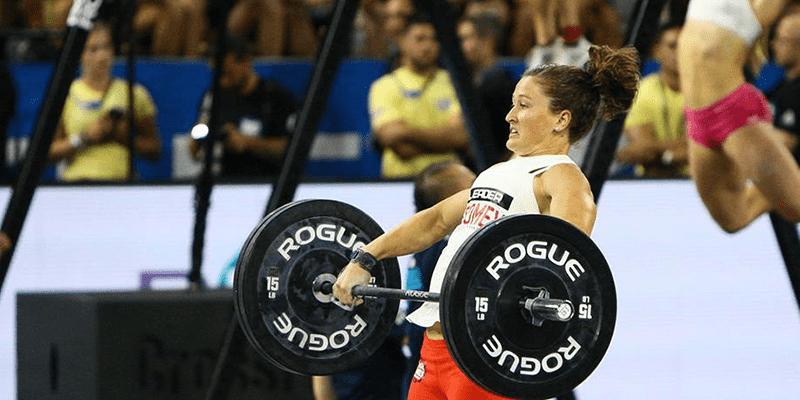 The quality of athletes competing makes it impossible to take any event lightly, even so much so that the slightest of slip ups and you’ve fallen down the leaderboard. Even more important though is the quality of camaraderie and respect amongst the athletes, who all continue to push each other even though they’re competing amongst one another for the top spot. You all did an amazing job and it was inspiring to be a part of. To the Crossfit team; the organisers, the judges, the volunteers and the media team, without you this doesn’t happen. Your professionalism doesn’t go unnoticed by the athletes and we appreciate all the sacrifice and hard work you put into making the games what they are.